Friedrich-Karl “Tutti” Müller was born on 25 Decemeber 1916 at Berlin-Lichterfelde. At the outbreak of World War 2, Müller was serving with 8./JG 53. By the end of the french campaign, Leutnant Müller had accumulated eight victories, including his first, a French Curtiss Hawk 75 fighter, shot down on 27 May 1940. Müller participated in the Battle of Britain flying with the Stabsstaffel of III./JG 53. He added two RAF fighters to his tally during the aerial battles over England. Müller participated in the invasion of Russia and by the beginning of September 1941, had recorded his 20th victory, a Russian I-61 fighter shot down on 27 August. On 1 November, Müller was appointed Staffelkapitän of 1./JG 53. In spring 1942, Müller led 1./JG 53 to the Mediterranean theatre. Operating from bases in Sicily, Müller claimed three RAF Hurricane fighters shot down over Malta during this period to record his 22nd through 24th victories. In May 1942, I./JG 53 was relocated back to the Eastern front. Müller was particularly successful during this period. In August, Müller claimed 25 victories, including five enemy aircraft shot down on 12 August (47-51). In the period 1 to 19 September, Müller claimed 35 victories, including six Russia Il-2 Sturmovik ground-attack aircraft shot down on 9 September (78-83), five enemy aircraft on 17 September (88-92) and seven on 18 September (93-99). 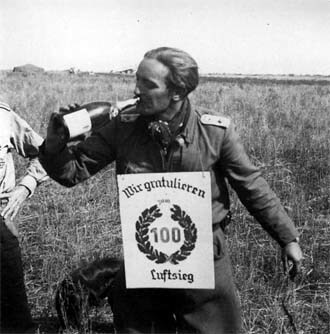 On 19 September, he claimed his 100th and 101st victories resulting in Oberleutnant Müller being awarded the Ritterkreuz. He was awarded the Eichenlaub (Nr. 126) on 23 September. On 1 November 1942, Hauptmann Müller was appointed Gruppenkommandeur of I./JG 53 and led the unit to Tunisia. In the period from 25 November 1942 to 30 April 1943, Müller claimed 12 victories to raise his score to 115. However, he was lucky to escape injury on 25 January 1943, when his Bf 109 G-2 (W.Nr. 145 10) “<<+” overturned on landing at Bizerte. In early May, he was to claim three further victories over Sicily and southern Italy. Müller, suffering nervous and physical exhaustion, then embarked on a long leave from the front. 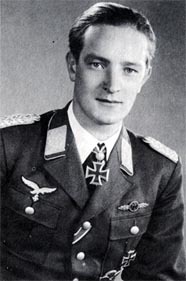 On 12 February 1944, Major Müller was appointed Gruppenkommandeur of Sturmgruppe IV./JG 3 operating on Reichverteidigung duties. He claimed three USAAF four-engined bombers shot down on 8 March to record his 120th through 122nd victories. On 24 March 1944, Major Müller was appointed Kommodore of JG 3. On 18 April, Müller claimed three USAAF B-17 four-engined bombers shot down. Müller was killed in a landing accident at Salzwedel on 29 May 1944, when his Bf 109 G-6 (W.Nr. 410 827) suddenly stalled at a height of 15m.  He was posthumously promoted to the rank of Oberstleutnant. “Tutti” Müller was credited with 140 victories in over 600 missions. He recorded 53 victories over the Western front, including 23 four-engined bombers. 12:15 P-40 1./JG 53 Near Zembra Is.